← Why Did I Listen to This? 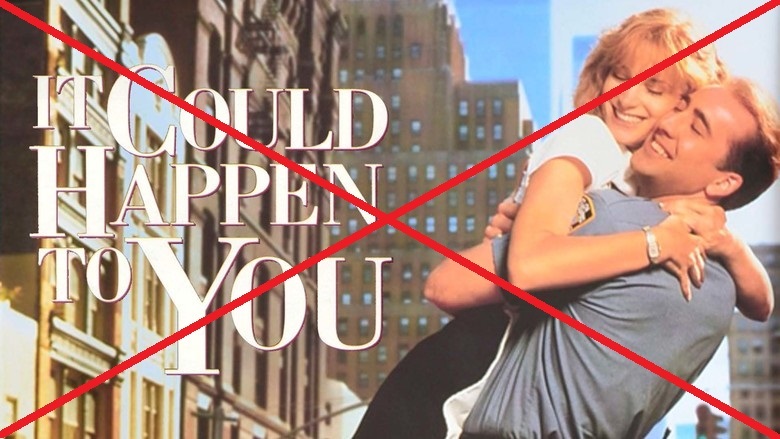 There’s an old movie called It Could Happen to You about a NY cop who wins the lottery and splits the money with a waitress. The thing is: it could not happen to me, actually. I don’t play the lottery. Even if you play the lottery, it could happen but it probably won’t. The death of Otto Warmbier feels especially disturbing to parents who send their children abroad to places like Russia or Turkey or even North Korea. We can imagine our kids trying to take a propaganda poster as a souvenir (aka commiting a “hostile act against the state.”) We can imagine this happening to one of our kids – especially if “we” are prosperous people who can afford international travel for our children. But then I realized how ridiculous I sounded. Of course we can’t imagine this because it is highly unlikely that this would ever happen to me or BSE. Because we are white. Because we live in nice neighborhoods. Because we have health care. Ms. Lyles was a black woman with mental illness living in an apartment for people transitioning out of homelessness. What happened to Charleena Lyles probably wouldn’t happen to me or to my next door neighbor. If my child gets pulled over with weed in the car, he might not even get arrested. If I am missing a tail light – and even if I have a legal gun in the car – I am not likely to get a ticket, much less multiple bullets fired at me. If my husband goes out to get milk at 11 PM, I am 99.9% certain he will arrive home safely. Note to white people like me: The world will not change until we have empathy for people enduring what we cannot imagine because it probably would never happen to us. Because we are white. Because our skin color affords us privileges we don’t even notice. It’s time for more of us become angry for the sake of what’s right and fair. I considered just hitting the LIKE button and moving on, but I can’t because I DON’T like this. You are speaking truth, but I don’t like the truth. You are right about white privilege. I’ve tried to point this out to others, and get nowhere, which makes me even sadder. I volunteer in an inner city elementary school and see children of color acting out in ways that I know is a response to the chaos and violence they are seeing in their neighborhood and home. They don’t have a means to escape. I try to talk to people about the behavior but am often met with, “Their parents need to do a better job raising them.” No, we need to do a better job working with these children and not just disciplining them. Discipline is not the answer. Okay, enough of “LIKING” this post.